Home / غير مصنف / Borderlands 3 announced with new trailer, release date news coming soon? Borderlands 3 announced with new trailer, release date news coming soon? Borderlands 3 is in development and will include multiple worlds to explore, it was announced today during Pax East. The first full trailer for the game was shown during the showcase, which also confirmed that over 1 billion guns will be included in the new game. 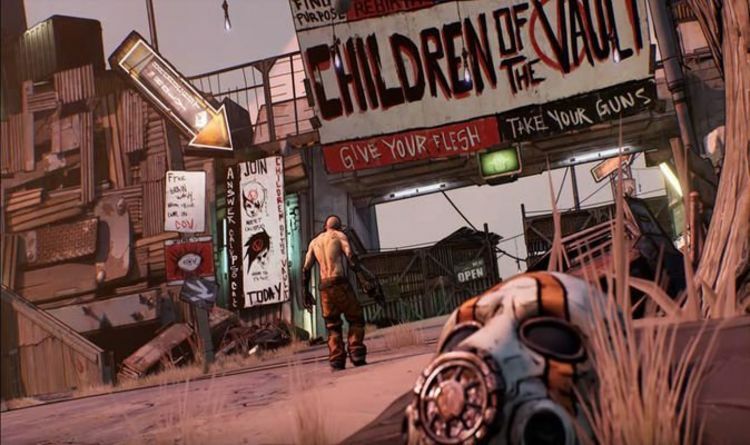 But when it comes to official news on a release date and what platforms it will be available on, Gearbox’s Randy Pitchford and Paul Sage remained silent. Instead, fans have been told to head over to the official Borderlands website on April 3 to find out more. There is no guarantee this is when we will get official release news, but there’s a good chance of some big announcements being shared. So it appears that until that date next week, fans will have to wait for more details on price and launch windows. It seems pretty likely that Borderlands 3 will be available on PS4, Xbox One and PC and will cost the usual amount. What we don’t know is what kind of new features and returning gameplay will be included in the new title. “Prepare for an all-new mayhem-fueled adventure across the worlds of #Borderlands3! Head to http://Borderlands.com on April 3 for more info,” the official Borderlands 3 teaser trailer reads. The new trailer for Borderlands 3 is now available to view on YouTube and can be found using the embed above. More news was also confirmed for next week, including Borderlands: Game of the Year Edition releasing on April 3rd with new weapons, visual upgrades, character heads, gold chests and keys. This will include all 4 add-on packs and will launch alongside the new The Handsome Collection Ultra HD Texture Pack. The improved texture packs will be available for Borderlands 2, Borderlands: The Pre-Sequel, along with expansion for Borderlands 2 VR. It appears the Ultra HD texture packs will be available on Borderlands 2 and The Pre-Sequel for PC, while PS4 Pro and Xbox One X players will be able to access them via the Borderlands: The Handsome Collection. More news on Borderlands 3 is hoped for on April 3, including an official release window and a more in-depth look at gameplay coming to all available platforms. What we know so far is that Borderlands 3 will offer a lot of weapon variation and Multiple worlds to explore.